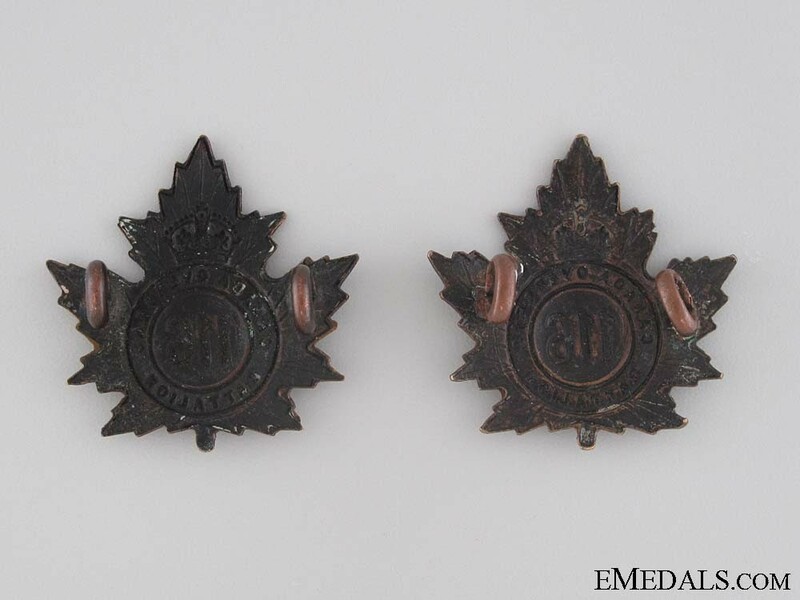 WWI 116th Infantry Battalion Collar Tab Pair CEF - Browning copper and pickled copper, unmarked, 30 mm x 31 mm and 30.7 mm x 31.2 mm respectively, extremely fine. 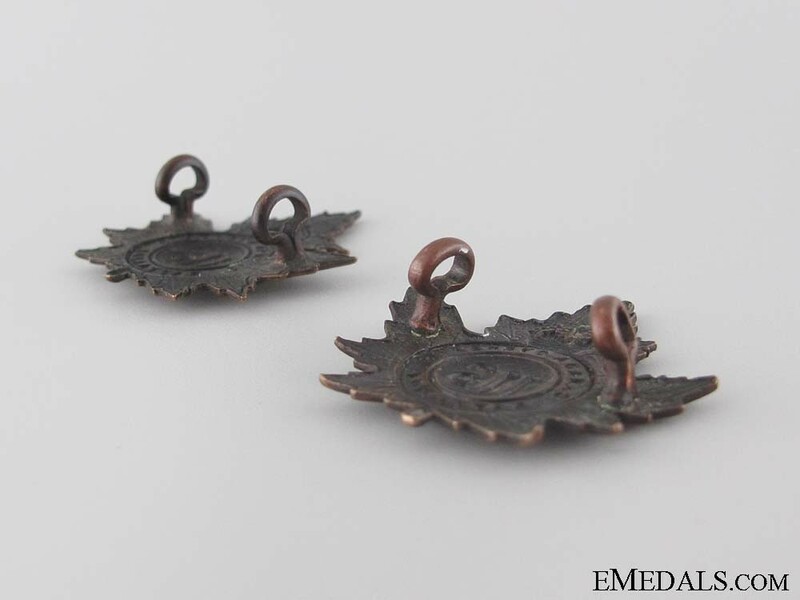 Footnote: The 116th Infantry Battalion was raised in Ontario County with mobilization headquarters at Uxbridge under the authority of G.O. 151, December 22, 1915. The Battalion sailed July 23, 1916 with a strength of 36 officers and 943 other ranks under the command of Lieutenant-Colonel S. Sharpe. 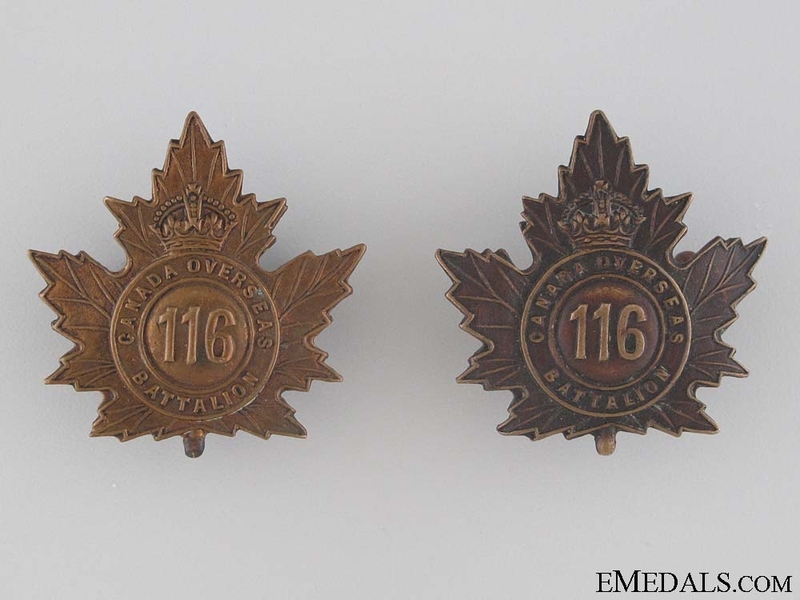 The Battalion served in France and Belgium, replacing the 60th Battalion on February 11, 1917 with the 9th Infantry Brigade, 3rd Canadian Division. It was disbanded on September 15, 1920.